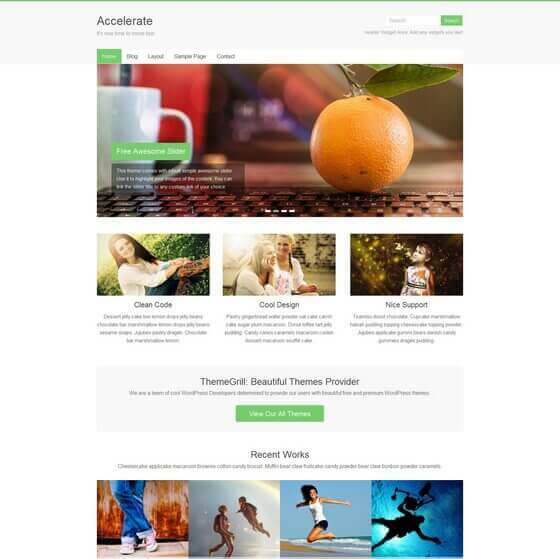 Simple, easy and very convenient to use WordPress theme. 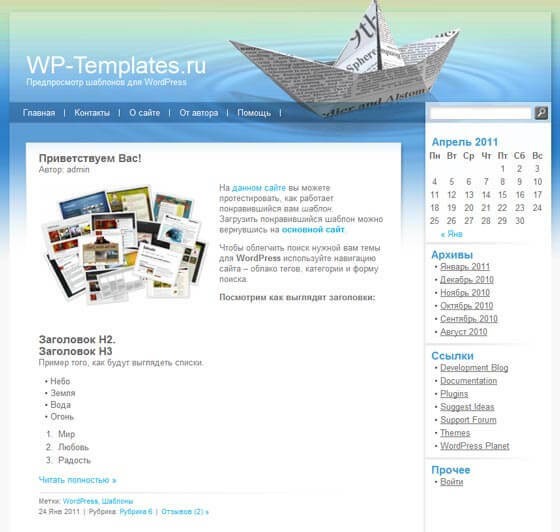 It has a nice look and blue sea background, which shows a little paper boat. It’s just a wonderful option to maintain different blogs from journalists. In addition, the theme has 2 columns menu and side menu on the right, it also supports widgets, but in the horizontal menu under the header to display statistics page.